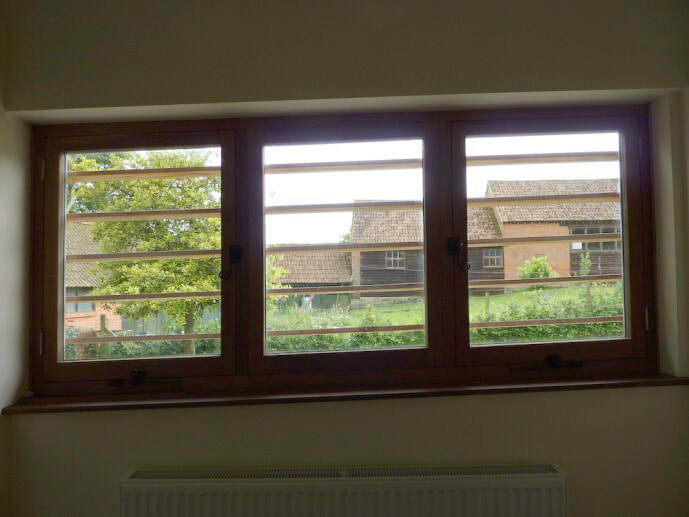 This barn conversion forms an annexe to an existing property. 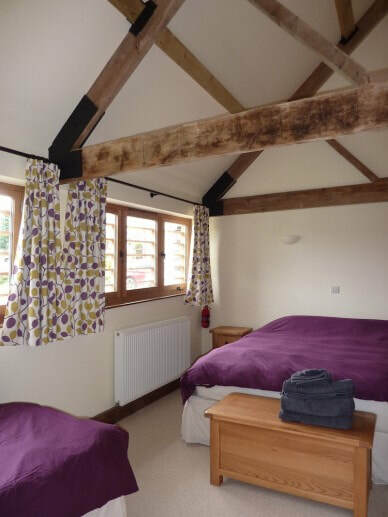 The accommodation provides 2 bedrooms, a large playroom, and a double garage. Interestingly, the roof line follows the slope of the land, resulting in trapezoidal shaped windows.